The Climate Reality Project together with the support of Dr. Nandini Deshmukh, District Manager - Mumbai and in collaboration with Maharashtra Nature Park, Social Forestry Department (Maharashtra) - National Green Corps Program, Rotary Club of Mumbai Shivaji Park and Eco- Persona laid the foundation of the Teacher Training Program in Mumbai with the launch of the first training session on 14th July, 2015. The Teacher Training Program was held from 14th July to 16th July with three individual workshops each day at Maharashtra Nature Park. Around 180 teachers from Marathi medium schools attended the Teacher Training Program on Climate Change awareness. The sessions were conducted by Dr. Nandini Deshmukh assisted by Ms. Monali Ranadive, Climate leader from Mumbai in Marathi. Other enthusiastic Climate Leaders from Mumbai came forward to help in conducting the workshops successfully. 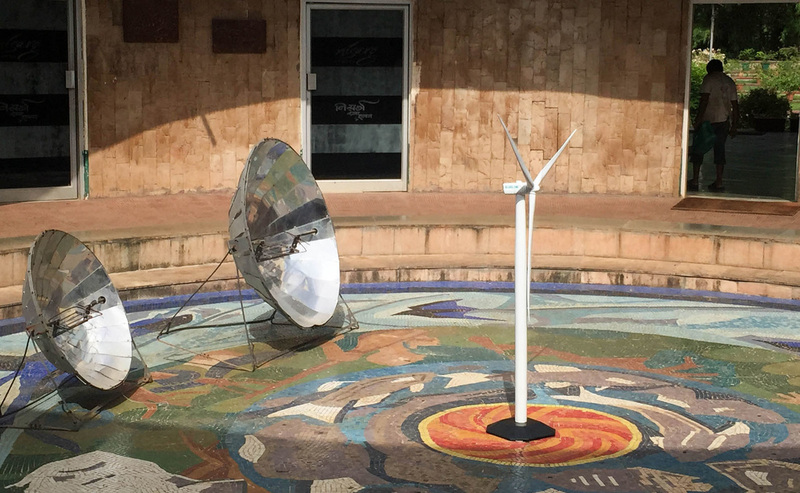 A wind turbine model was set up for teachers to spread the knowledge on renewable sources of energy with the help of Mr. Nitin Raikar, Climate Leader from Suzlon. 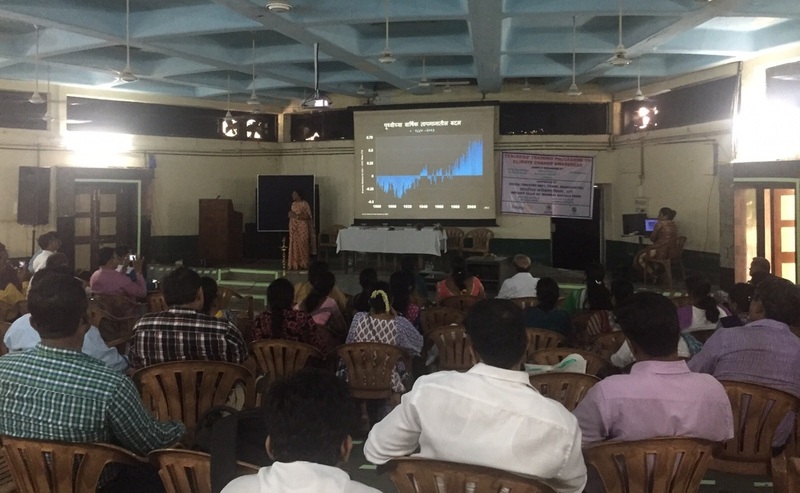 The Climate Reality Project India supported the teachers trained during program by providing them free online resources (presentations, quiz and posters for classroom activities, lesson plans etc.) on Climate Change. Resources are available at http://www.eelab.info/eelab-resources.html which can be accessed and downloaded by the teachers.